In finance, as in life, there's no such thing as a free lunch--unless you're well diversified. The push toward diversification inspires many investors to buy index funds, which is a smart move. But most people have missed the chance to diversify over their investing lifecycle. Now, for the first time, Ian Ayres and Barry Nalebuff--two of the most innovative thinkers in business, law, and economics--present investors with a set of tools that will allow us to diversify our portfolios over time, a radical innovation. By leveraging our portfolios when we're young (and leveraging less as we get older), nearly all investors can reduce risk while improving returns. 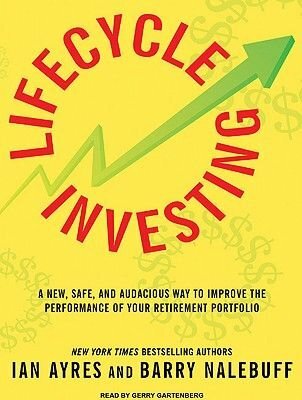 Clearly written and extensively supported by ground-breaking research, "Lifecycle Investing" presents a simple idea for individual investors that promises to radically transform how all of us retire.